This entry was posted in About the SAT Test, SAT preparation, U.S. college admissions and tagged SAT cheating on January 30, 2017 by admin. Further information about the Queen’s Personal Statement workshop is here. This entry was posted in Uncategorized and tagged Queens's Personal Statement on October 2, 2016 by admin. In March 2016 the new SAT will be administered. The College Board has provided new general information and established the baseline minimum SAT Prep. Let’s let twitter help us out. The new SAT is coming in March 2016. Register for your spot, and own your future today. Students can take the new SAT starting March 2016. It will replace the current SAT and be offered throughout the school year. Most students in the class of 2017 will take the new SAT. So will students in the class of 2018 and later. This entry was posted in About the SAT Test, SAT preparation and tagged College Board, Khan SAT prep, SAT 1600, SAT prep Toronto, SAT test dates Canada on June 19, 2015 by admin. Saying its college admission exams do not focus enough on the important academic skills, the College Board announced on Wednesday a fundamental rethinking of the SAT, ending the longstanding penalty for guessing wrong, cutting obscure vocabulary words and making the essay optional. The new exam will be rolled out in 2016, so this year’s ninth graders will be the first to take it, in their junior year. The new SAT will continue to test reading, writing and math skills, with an emphasis on analysis. Scoring will return to a 1,600-point scale last used in 2004, with a separate score for the optional essay. For the first time, students will have the option of taking the test on computers. Once the predominant college admissions exam, the SAT in recent years has been overtaken in popularity by the competing ACT, which has long been considered more curriculum based. The ACT offers an optional essay and announced last year it would begin making computer-based testing available in 2015. 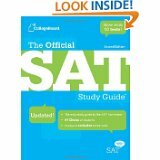 This entry was posted in Uncategorized and tagged SAT 1600, SAT 2016, SAT prep Toronto on March 25, 2014 by admin. This entry was posted in About the SAT Test and tagged David Coleman SAT changes on March 22, 2013 by admin. It’s all about your SAT test scores. Put your best foot forward with SAT Score Select and Reporting. Find out how. This entry was posted in About the SAT Test and tagged SAT classes Toronto, SAT test scores on June 2, 2012 by admin.